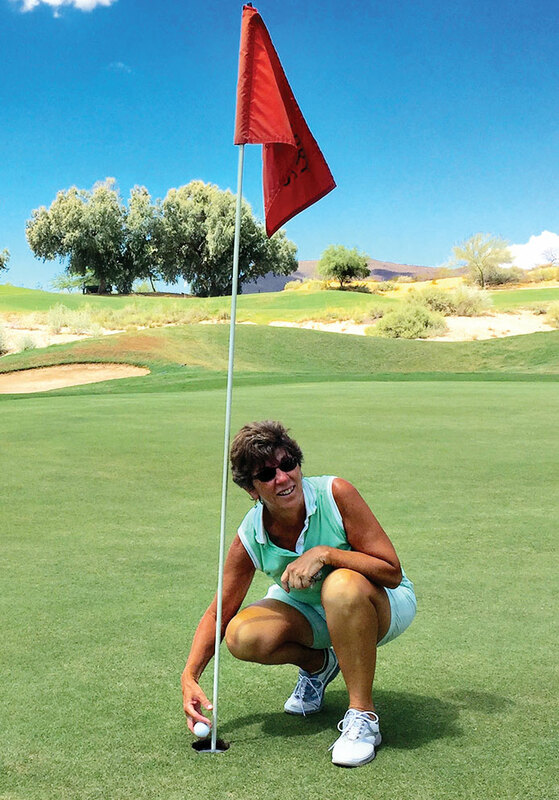 Jean DeChristopher scored her first hole-in-one on Wednesday morning, July 8, 2015, at Quarry Pines in Tucson, Arizona. She used her 6 iron and hit her ace 125 yards on the par-3, hole no. 17. She was playing from the silver tee-box. Candy Burtis, Terry Rattey and Dee Lee witnessed Jean’s hole-in-one.